I've been on a hunt for some great skincare products. My skin had been doing well for about a month or so, but naturally, as my hair started to look nicer, my skin declined. Why is it always one or the other? I started looking up products that were free of harsh chemicals, dyes, and parabens since my skin is super sensitive, and I wanted something really simple and natural. I came across the brand One Love Organics. The brand is designed to be just this: simple and straightforward, from the information on the packaging, to the ingredients inside. The brand was even awarded the gold seal from Green American Certified Business, which recognizes companies that go beyond the minimum regulations, and those that promote ethical and sustainable products; something that is as good for the heath of the planet as it is for the people using it. However, no specifics were mentioned on the website about what makes the products or production process sustainable. Moreover, the brand is cruelty free, something that is immensely important, meaning no non-required tests are preformed on poor, helpless animals. 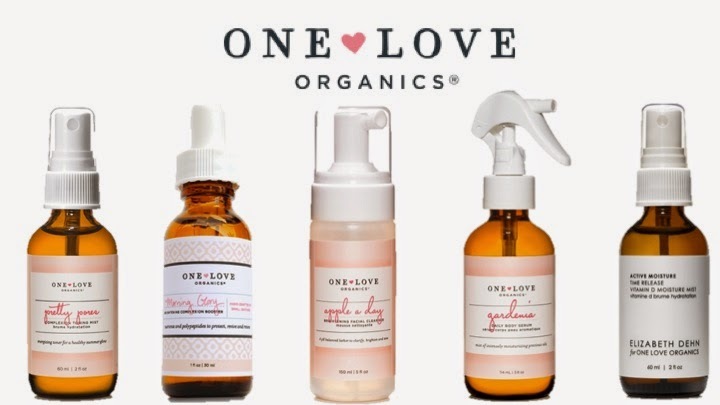 And similar to some of the other brands I have featured, One Love Organics is affiliated with different charities, including CARE, which addresses poverty facing women and children, and The Children's Scholarship Fund, which assists families in need by providing financial aid to send children to school. Predominately, I was looking up acne medication, and I found that plant oils are apparently best, although seemingly counterintuitive. The chemicals found in normal acne cleansers cause your skin to produce more oil, ultimately resulting in more breakouts. The key, according to One Love Organics? To gently cleanse your skin with plant oils. What I loved when researching this brand is the unique products they offered. I find that my skin generally looks it's nicest when it has had a lot of sun exposure (something I did at the beginning of summer and had it looking great, but haven't had the time to do since then). In comes the Vitamin D mist. Want to balance your skins natural oils? They have the Apple Cleanser. And then they have a slue of other products, like the mist to minimize the appearance of pores, products to leave you smelling great, or just a morning pick-me-up (like coffee, but for your face). For full disclosure, I haven't tried any of these products yet. But I really want to. Hopefully I can get my hands on a few samples, and give it a go.